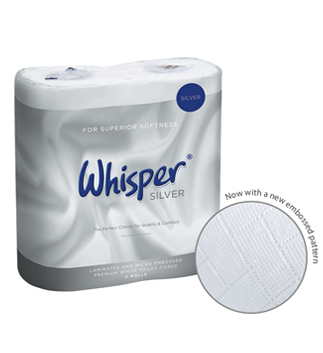 Our premium Whisper tissue range offers a selection of luxury toilet tissue, kitchen roll and facial tissues to suit any need. Suitable for a range of different markets, from high-end luxury hotels to modern commercial premises, industrial kitchens and healthcare environments, Whisper offers a complete premium solution that can suit any need. All products in the range are manufactured from pure pulp and meet the CHSA Soft Tissue Standard, guaranteeing that the product in the box meets the specification on the label. 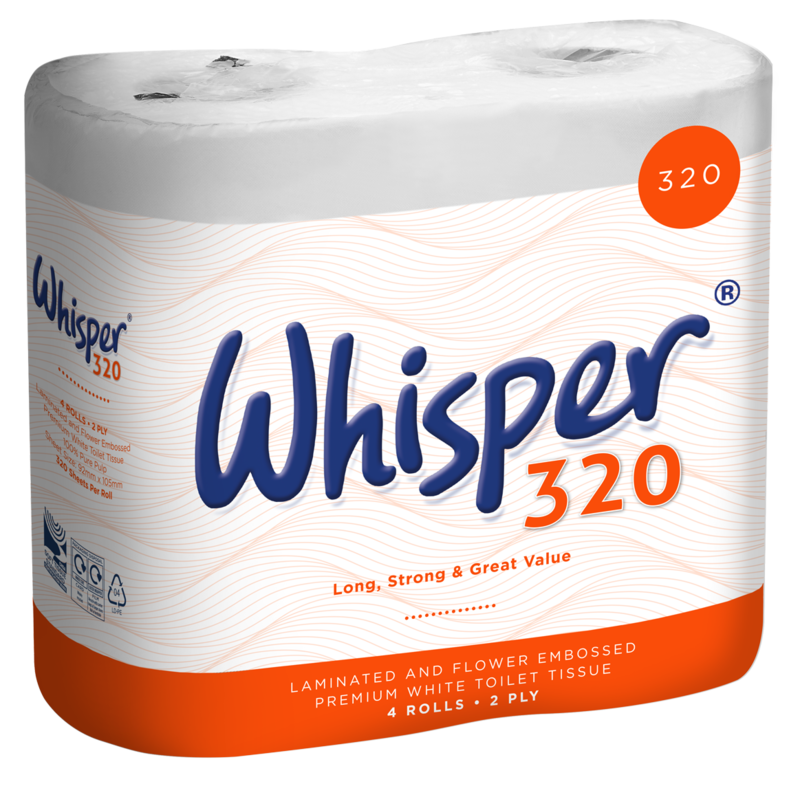 Offering 320 sheets – the longest roll within the Whisper family – Whisper 320 is a 2 ply laminated and flower embossed toilet roll that offers, strength, softness and a high sheet count. 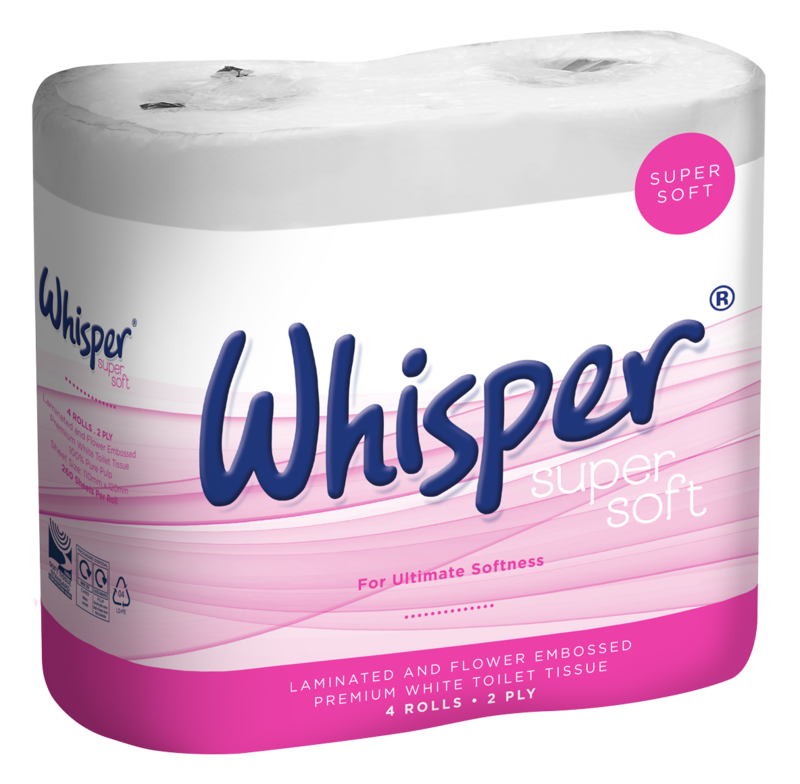 Whisper Super Soft is a premium 2 ply, laminated and flower embossed toilet tissue. A product that perfectly balances leading softness and quality with competitive pricing. 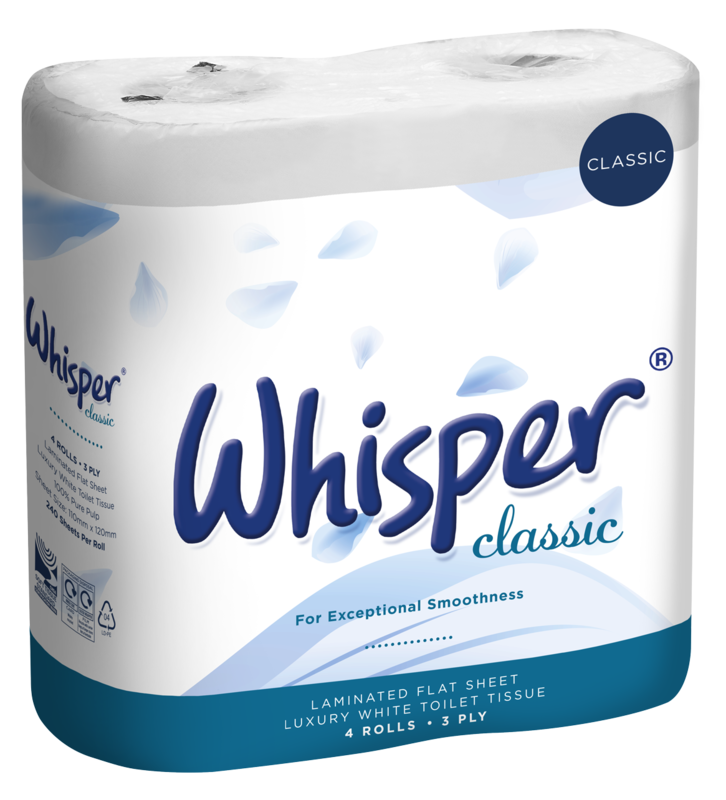 Whisper Classic is the ideal choice for 3 ply toilet tissue with a superior smooth finish. The luxurious flat base sheet makes it ideal for a broad range of washroom environments. A premium toilet tissue that is stylish and luxurious to the touch, Whisper Gold is manufactured from 3 ply pure pulp tissue and features a contemporary, unique micro-embossed pattern and added lamination for an exceptionally high quality feel. 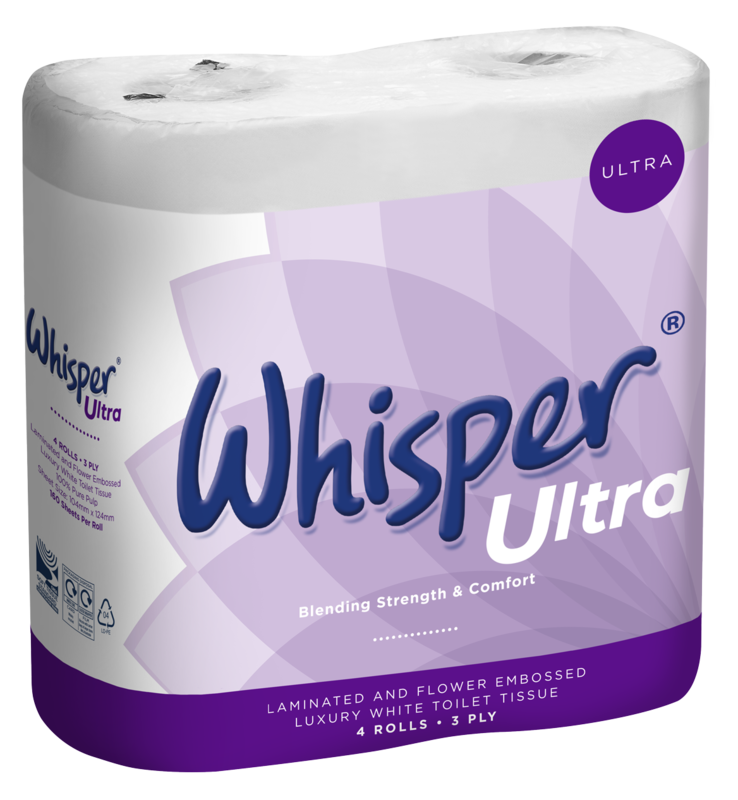 Whisper Ultra is a competitively priced, highly luxurious 3 ply laminated and micro-embossed toilet tissue. 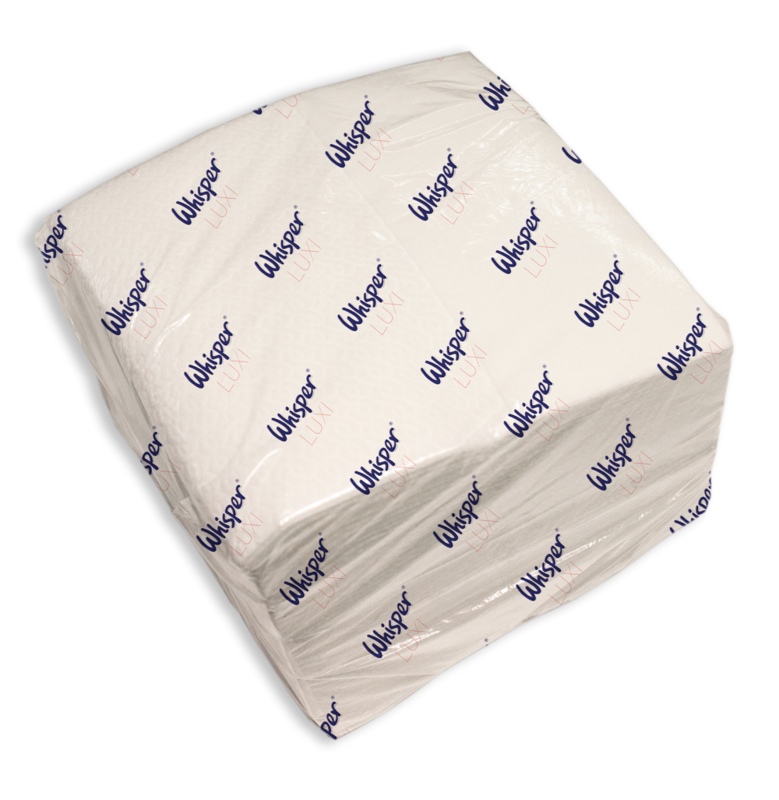 Suited to any washroom, its unique packaging is instantly recognisable and trusted. A stylish self-presenting flat pack toilet tissue that is suitable for all contemporary washrooms. 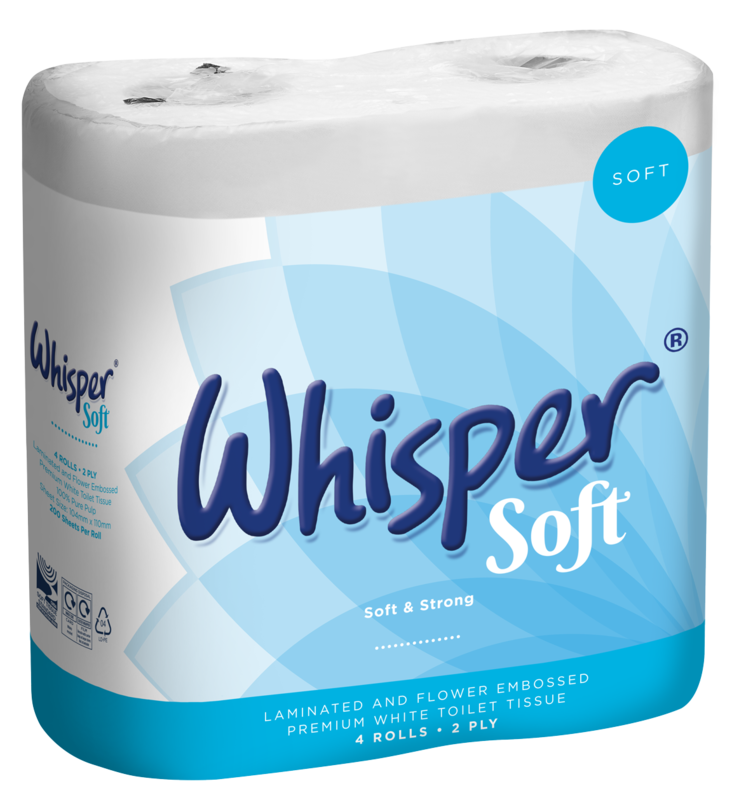 Manufactured from pure pulp, this 2 ply toilet tissue is soft to the touch and cost effective for locations large and small. 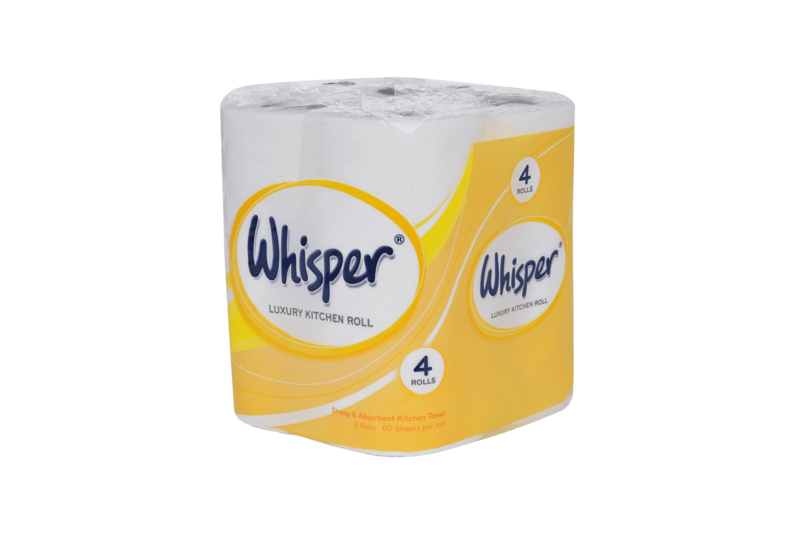 Strong and absorbent, Whisper Kitchen Roll is micro embossed and laminated, guaranteeing outstanding wiping performance and required fewer sheets per task. 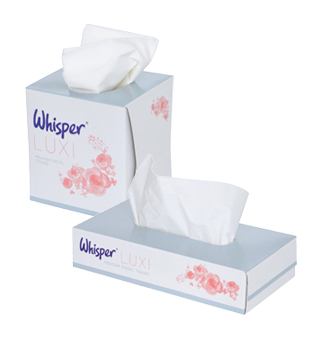 Offering superior softness, a broad range of box sizes and attractive contemporary packaging, the Whisper facial tissue range caters for all washroom, reception and office areas. 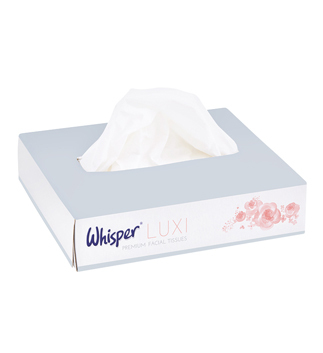 Made using an advanced Airlaid process, the Whisper Luxi hand towel is the ultimate solution to washroom hand drying and wiping needs. Its superior GSM and pattern emboss give this towel exceptional strength, absorbency and softness.